Speed Meter.it Has Been Designed Specifically To Suit The Following Special Applications. Filters For Testing The Purity And Suitability Of The Oil. 2) Test Of Infant Milk Food As Per Is:1547:1985. For Determination Of Solubility Index In Infant Milk Foods. 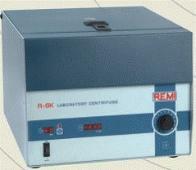 4) For Determination Of Sulphates In Chrome Solution.